So, I know what you are thinking: "A Miracle Rogue with no sense cards like Mecha'thun and Myra's Unstable Element? You are crazy!" Let me introduce you to the new best "fantacombo" of the century! Before start leave an upvote on this deck for more strange combo decks! Mecha'thun: it's the core card: without this the combo won't work. Myra's Unstable Element: it's an important card that helps you to clear your deck. 1x Voodoo Doll: it's an important piece of the combo because it will kill Mecha'thun. 2x Shadowstep: they are the cards that allows you to get cheaper Voodoo Doll and Mecha'thun. 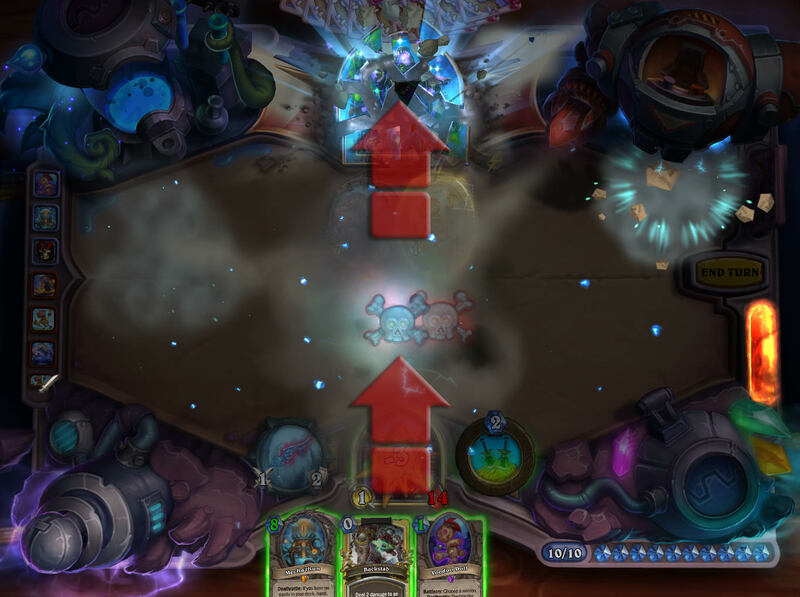 Be sure to have Mecha'thun, Voodoo Doll, 2x Shadowstep, Myra's Unstable Element and 1x Backstab in your hand. When your board, deck, and hand are empty of not combo cards, play Mecha'thun and target him with Voodoo Doll. You can replace the rest of the deck with other cards, but i think that a miracle Rogue [a Rogue that draws so many times] is the best choice. Do the combo in the explained order, because if you use Myra's Unstable Element with a not full/semi-full hand you are forced to play many other cards. You aren't forced to win with the combo: you can use also combo cards for a tempo play especially versus an aggro deck. As I repeated many times, Assassinate WON'T kill one of your minion! Use Myra's Unstable Element with the same combo pieces in your hand. Use Voodoo Doll and Shadowstep it. Play Mecha'thun and Voodoo Doll it. This is a nice idea, but in terms of a functional deck, it is terrible. How do you stay alive long enough to play the combo? Spoiler: you don't. I understand how the combo works but i dont see how you can be competitive with it. there is way too much inconsistency with this deck. If you dont get the card draw early then you are stuck with cards like fan of knives and shiv when the auctioneer is active and your deck is empty. the whole point being is Myra's Unstable Element can really screw you over even though it's how you effectively empty your deck to pull off the combo. each game i've played this i've had all the combo pieces in hand but havent been able to empty my deck. When i don't have the combo pieces in hand but i have unstable element i have no guarantee that I'll pull the last cards i need or they just get discarded. In the end maybe i needed to play this deck more but still it doesn't seem very consistent. This is purely an idea, since I don't have anywhere near enough dust to craft the required cards, so please correct me if I'm wrong! Surely a more consistent version of this deck would be to include Hemet, Jungle Hunter and scrap some of the late game cards in favour of a Necrium Vial and Necrium Blades? This way you COULD assemble one of these 4+ card combos before playing Myra's but you also have the option, that if you have at least a Preparation + Galvanisers (3 cards) and/ or Necrium Blade(s) (1/2 cards) in hand the moment you can play Hemet, Jungle Hunter you are guaranteed a combo within the next 4-5 turns (assuming you haven't yet drawn Myra's and its the last card in deck or you play Hemet on curve) since you will only have max 4 cards left in the deck all of which all are potential combo pieces (everything else becomes 'useless fodder'). Effectively you have a second Myra in Hemet that 'tutors' better to the combo. not a consistent deck, any type of agro/mid deck will destroy this. Even if you do manage to obtain all cards for OTK. You still have to cast Myra's unstable element which you will then have to burn an additional 5 cards. So that means another 1 - 2 turns and getting fatigue damage. You'll be long dead before you can pull off this combo. My first game and it was a win already. Opponent played Shudderwock. Biggest takeaway was to start emptying your hand early. I was stuck with cards in hand for 2 turns on fatigue. Also hadn't he killed my Vilespine I would have ran it again a Annoy'o and lost. Only change I made to the deck was replace Edwin with MCT because I don't own him. Geee)))) There is some moment that need to be clear. You start with 1 mana — not 5 to play Myra's Unstable Element. And if it is, then you got 6 mana, not 10 to play Mecha'thun. This kind of deck need a lot of removals and draw to complete the combo. Or do you have a plan how to survive? Pretty hard to pull of but which OTK deck isn‘t? You need to get rid of your entire hand as well for Mecha'thun. Seems like its gonna be hard to pull that aspect of the card off. It doesn't require you to play Mecha'thun unless you've got the combo. All it requires are two Galvanizer to reduce the cost of the mech, then Bloodbloom, Cataclysm, and Mecha'thun in one turn to win, given that your deck is empty. Myra's Unstable Element isn't as useful as it seems in this deck. Looking for 6 combo pieces means in 20% of the games played one will be card #30, leaving Myra as a dead draw. In over 80% of games you'll not have seen all 6 pieces by the time you've seen your 20th card, meaning the times that Myra can do more than burn a handful of cards is slim. Granted, it'll be nice when it happens, but is it worth it? And you'll have to survive to that point. That's true. I've played a lot of OTK freeze mage and usually the last combo piece will be in your ~5 last cards in the deck. By the time you can spend 10 mana and do nothing, you already won the game. Very hard to pull it off. 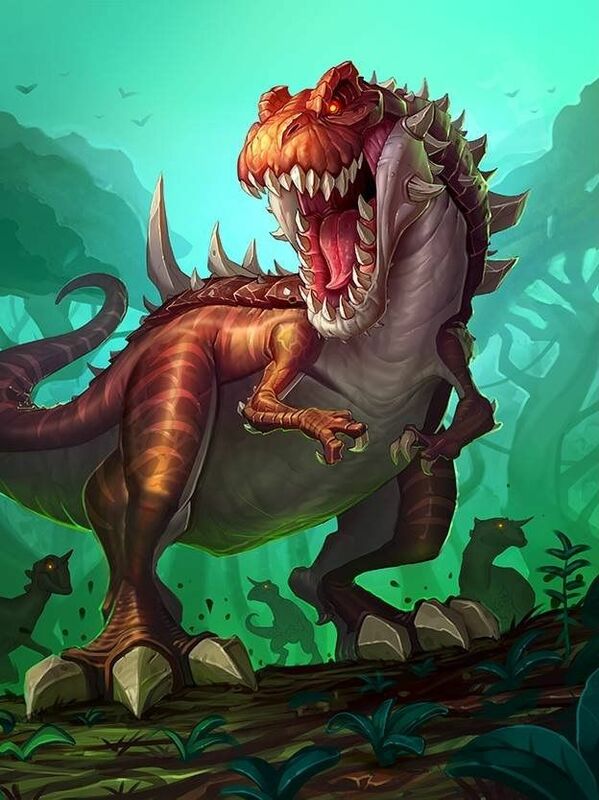 I think that Mecha'thun is going to be a card that a bunch of F2Ps will craft immediately then dump it into their Even Hunter decks. In all honesty, Mecha'thun seems like nothing but a backup plan if the game drags out too long. I would rather play Miracle Rogue, but shove this combo into it, so that I can potentially win the game if my spiders can't get through. Isn't the combo easier with Necrium Blade ? no because that leaves mechathun on the board so the deathrattle does nothing.